Dr. Philip M. Willner is a licensed Chiropractor with 24 years of clinical experience. For more information or to schedule an appointment with our Littleton chiropractor, call 720-283-8006 today! Dr Philip M Willner is a Chiropractor with 29 years of clinical expertise serving the Littleton, Highlands Ranch, Englewood and Centennial areas. 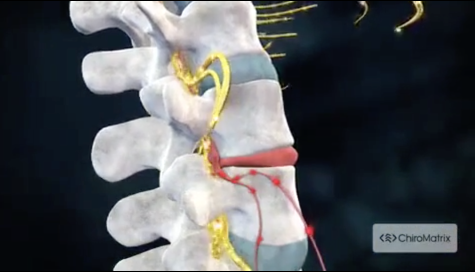 Dr Willner is dedicated to Chiropractic solutions that target your specific needs. Dr Willner utilizes a combination of Physical Rehabilitation , Massage and Chiropractic Techniques to improve back pain, neck pain, upper back and shoulder pain, headaches, arm and leg pain as well as hip pain. You may need relief after an accident or experiencing an injury. Dr Willner has had excellent results in treating chronic back and neck pain, as he spends the time with each and every patient to allow for optimal results. Dr Willner accepts most insurance plans and will work directly with your insurance coverage to allow as little out of pocket expense as possible. Please call to see how your insurance may cover most or all of your care. At your first visit to Dr. Philip M. Willner, Dr. Philip Willner will explain the science behind how chiropractic care works, and give you a full evaluation to see if chiropractic care is right for you. If there is a good fit, we can develop a plan of chiropractic care that is specific to your condition and health goals. If you are new to seeing a chiropractor and want to find out more, please email us or call 720-283-8006 to receive personalized answers to your questions from our friendly team. Sign-up using the form or call us at 720-283-8006 to make your appointment today! Dr Philip M Willner is a licensed Chiropractor with 29 years of clinical experience. Dr Phil graduated from SUNY @ Albany in 1983 with a B.S. in Biology and then received his Doctor of Chiropractic degree from New York Chiropractic College in December of 1986. "I have been seeing chiropractors for 35 years. Some good and some not so good, but Dr.Phil is the best. He takes the time to assess the problem and come up with the correct treatment plan. A visit is not the usual 10 minutes on the roller table and a 3 minute adjustment like most chiropractors I have seen. His technique is is more of a physical therapy approach and it works much better for me. I am glad that I gave him the opportunity to treat me."